If you appreciate world-class refinement (along with impressive mileage), and you're looking to spend anywhere from $15,000 to $23,000 for a new car, your test-drive schedule might not continue past the Honda dealer. The vehicle is very reliable, and comfortable. I bought it used in 2017. So far it has about 121k miles on it. I have had no major issues with the car apart from the power steering, which I fixed about a month ago. In addition to this, other repairs I have had to do on the car were, replacing one of the front axles, replacing the tire pressure sensor (In addition to filling the pressure back into the tires), and fix the ignition. One of the issues I have had with this car are the breaks. They are not sensitive enough, unlike the gas pedal. Despite this, the performance of this car is excellent and is extremely reliable. Apart from all the things I have had to repair, all I do is an oil change. 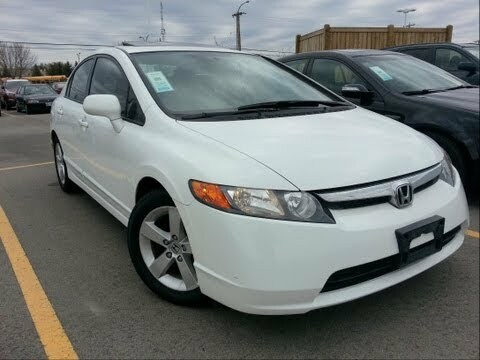 Honda Civic coupe 2008 high mileage vehicle. I do like that the car is economical. However being that it is a coupe if you have a family it is small. Trunk size is okay. I have around a hundred and sixty thousand miles on it at the moment I did just replace the battery for the first time and it was the original that came with the car amazingly. I guess my only complaint would be that it is on the smaller side so unless you are one person you really do not want the car. But I will say it is reliable and Hondas are worth their weight in gold even used ones go for a lot with high mileage. There is no lack of parts since there the vehicle that is on the road more than any other. Honda Civic: sporty and reliable. I have had typical problems with my car in the last year since it turned 10 years old. The leather interior looks worn and ratty, and I am doing a lot of routine maintenance to include replacing several parts (power steering pump, control arms, etc.). however, it has performed well for its age and mileage (over 150, 000), and has worked great in icy conditions compared to other cars this size. Overall, it had been very reliable for the 4 years I have owned it. Sometimes it is difficult to have only 2 doors, but I love the sporty feel of the size and features. The steering wheel has radio controls which I love.